Gabriel Cousens M.D., M.D. (H), D.D. (Doctor of Divinity), Diplomate of American Board of Integrative Holistic Medicine, Diplomate Ayurveda is considered the leading live-food medical doctors and spiritual nutrition experts in the world, and, is recognized as “the fasting guru and detoxification expert” by the New York Times. He is also a psychiatrist, family therapist, Ayurvedic practitioner, homeopath, acupuncturist, medical researcher, ecological leader, and bestselling author of books such as Spiritual Nutrition, Conscious Eating, Rainbow Green Live Food Cuisine, and There Is a Cure for Diabetes. He received his M.D. degree from Columbia Medical School in 1969 and completed his psychiatry residency in 1973. Dr. Cousens was the Chief Mental Health Consultant for the Sonoma County Operation Head Start and a consultant for the California State Department of Mental Health. He is listed in the Who’s Who in California, Who’s Who among Top Executives, Strathmore’s Who’s Who, and National Register’s Who’s Who and is a former member of the Board of Trustees of the American Holistic Medical Association (AHMA). 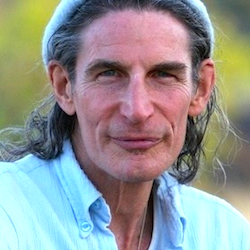 Gabriel Cousens, MD has developed the first live-food, vegan Masters program in the world in conjunction with University of Integrated Science California. He is the director and founder of the Tree of Life Foundation and the Tree of Life Rejuvenation Center, called by Harper’s Magazine, “One of the world’s best 10 yoga and detoxification retreats”. Dr. Cousens has taught about live-foods, spirituality, and diabetes prevention throughout courtries all over the world.